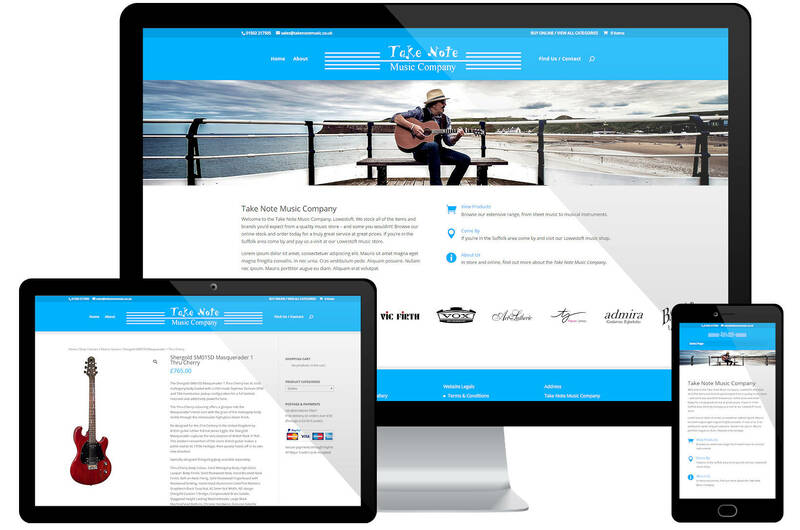 The Take Note Music Company has a shop based in Lowestoft, Suffolk. The shop is well stocked with everything from large musical instruments to sheet music and plectrums. Their original website had served them well but was out of date and needed thoroughly modernising. This website has been created to reflect their current branding and allow for full Ecommerce facilities throughout, all managed by the store owner. The online product structuring allows for a wide range of categories and subcategories, e.g. ‘Electric Guitars’ (including Shergold, Hofner etc.) sits within the general ‘Guitars’ category, which is further expandable should there be requirement at any time. In short, the website is designed for full online sales and attracting local search enquiries.